Whether it’s an office luncheon or an impromptu get-together with friends, gourmet food gifts and entertainment sets make a great gift. By adding personalization to these products, your brand will be the talk of the party. 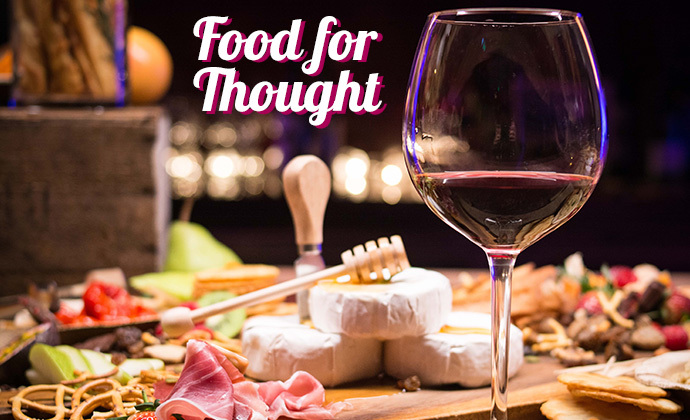 Keep reading for top food and entertainment picks from Proforma Supplier Partners. Please the whole party when you put out the Elegant Gourmet Sweet & Savory Tower, new from Gemline. The tower stands 13” tall with a sweet and savory treat for every pallet. Snacks include roasted cashews, caramel nut popcorn, berry nut mix, white frosted pretzels, almond tea cookies, dark chocolate covered almonds, chocolate hazelnut filled cookies, honey mustard pretzels, white frosted sandwich cookies, milk chocolate sea salt caramel and dark chocolate orange truffles. Gemline also offers an executive-worthy gift, which includes a Solara Tumbler and keepsake packaging. Use the gift box as a decorative storage piece in the home or office, long after the goodies are gone. The Executive Gourmet Keepsake Box & Aviana™ Gift Set includes mini biscotti, chocolate hazelnut filled cookies, shortbread, lemon cookies, assorted black teas and a mocha drink. Spice up any party by providing clients with a Spice-Shaker Gourmet Spice and Rub Bottle Shaker Set or keep it sweet with a Sweet Dreams Box, both from Hit Promotional Products. The spice set includes Himalayan pink salt, natural black pepper and natural Cajun and barbecue seasonings in a shaker bottle with a customized, full-color label. The gold-foil-line plastic Sweet Dreams Box is sure to be a crowd-pleaser. Fill it with a variety of delicious gourmet chocolates, mints, candy and gum. Are you looking to step up your gift-giving game? Then look no further than the extraordinary Gourmet Delights Keepsake Basket with Brookstone® Throw from Gemline. The basket includes raspberry honey mustard dip with pretzel twists, caramel nut popcorn, smoked almonds, shortbread, berry nut mix, chocolate chip cookies, cocoa dusted truffles, almond tea cookies, chocolate hazelnut filled cookies, cheddar cheese straws and honey mustard sourdough nuggets. Then when the party is over and the goodies are gone, cuddle up with the soft and cozy blanket! Get the party started (while protecting countertops)! Cut and serve this set of cured salami, assorted cheeses, crackers and gourmet mustard on the included marbled cutting board. The Marble Cutting Board Charcuterie Set is available from Hit Promotional Products. Give the gift of popping, pouring and storing a favorite bottle of wine to your clients or employees with the Huntington Stainless Steel Wine Kit. The sleek and modern set from Gemline includes a pourer, corkscrew and wine cooler, constructed to keep your bottle chilled. Made of stainless steel, the set will go with any barware collection! Gemline also stocks the Aviana™ Bordeaux Gift Set, the perfect gift set for every wine enthusiast. The set includes two 12 oz. Aviana™ Vine Double Wall Stainless Wine Tumblers and one Aviana Chateau Double Wall Stainless Wine Bottle Cooler to keep wine at the perfect temperature for up to 16 hours. Contact a local Proforma Owner for inquiries about these and any other promotional products or marketing needs.